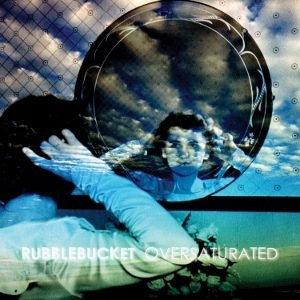 We’ve been a fan of Rubblebucket for a while. From their self-titled album in 2009 to now with the release of the Oversaturated EP. They are just a solid band. Simply put, Oversaturated does not disappoint. The more times we listen to the five-song EP, the more we like it. It sounds a little tighter than previous albums, as if vocalist Kalmia Traver left nothing to waste. Alex Troth’s trumpet sections are in the right places, and the orchestral sound of the band feels great. The songs all fit nicely, and there isn’t a bad one in the batch. Of all the songs though, our favorite is “The Flower Man.” Like the others, it’s upbeat and spacious-sounding, but it also sounds optimistic and is quite catchy. “Pain from Love” is also great with the horn interlude in the beginning and a nice, slow fade. After many listens to this EP, it continues to be full of quality, upbeat music. This Owl only wishes there were more than five songs!